I love this color combo with Stampin' Up! new "In Color" color family. The images are Stampin' Up! Crazy for Cupcakes stamp set with Whisper White, Baja Breeze and Riding Hood Red cardstock. 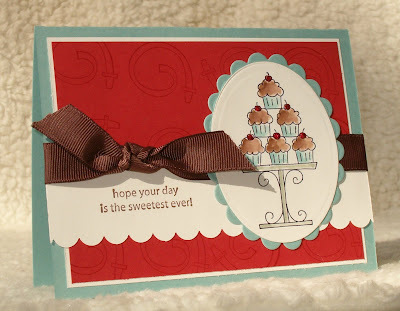 The cupcakes are watercolored using Stampin' Up! Aqua Brushes and Ink Refills. Stampin' Up! new scallop border punch was used for the border and Spellbinder Nestabilities cutting and embossing dies were used to make the ovals. Stampin' Up! Branch Out stamp set and Three Little Words set was used. 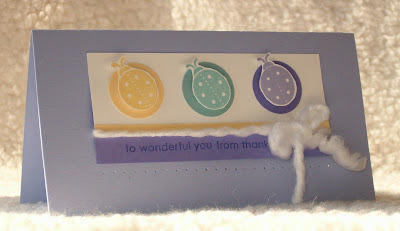 A Cuttlebug embossing folder was used for the textured background and the ribbon was made by using Stampin' Up! White Organza ribbon and dying it with Baja Breeze Ink Refill. Stampin' Up! 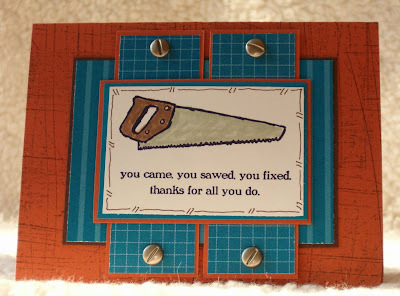 Totally Tools stamp set and Pacific Point Designer Series Paper was used to make this totally masculine card. 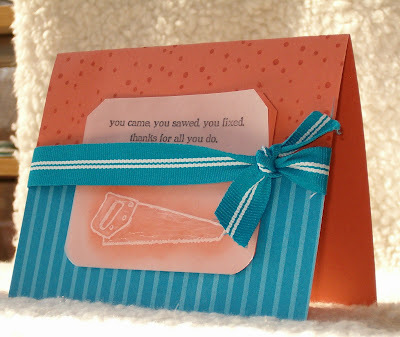 I used Totally Tools Stampin' Up! stap set and Pacific Point Designer Series Paper. 1 of 3 in a set of 6 1/4" x 3 1/4" cards using Lovely Lilac, Barely Banana and Baja Breeze. I used Stampin' Up! 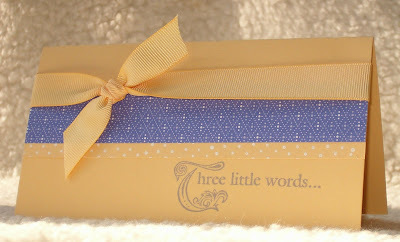 Lovely Lilac Designer Series Paper and the Three Little Words stamp set. This is card 2 of 3 in the Lovely Lilac, Barely Banana and Baja Breeze Card Set. I used Stampin' Up! Darling Dots set and Sweet Little Sentiments set. 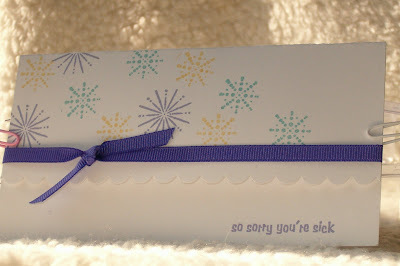 3 of 3 set of 6 1/4" x 3 1/4" Lovely Lilac, Barely Banana and Baja Breeze note cards. 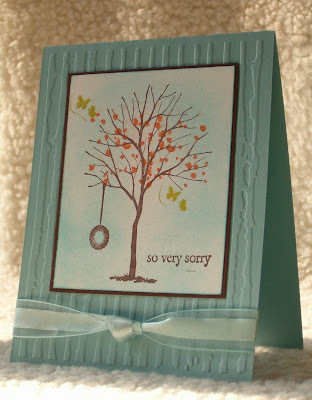 This one is made with the Stampin' Up! Snow Burst set and Really Retro set. I wanted to demonstrate how a Christmas set can be made into other seasons. Hi, I'm Linda, I'm a stamp addict. I've had this problem for over 6 years and I never want to recover. I became a Stampin' Up! demonstrator to help support my habit. As one of my stamping friends said, "well, at least we're not out going to bars"................................................ Important Fine Print....... All content (including text, photographs, and design work) is © Linda Conner. My artwork (all original unless otherwise stated) is shared only for your personal inspiration and may not be copied for publication or contest submission. All supplies are from Stampin' Up! unless otherwise stated.